No other Entrepreneurship program in the world offers this unique course that blends Theater Arts and Entrepreneurship! 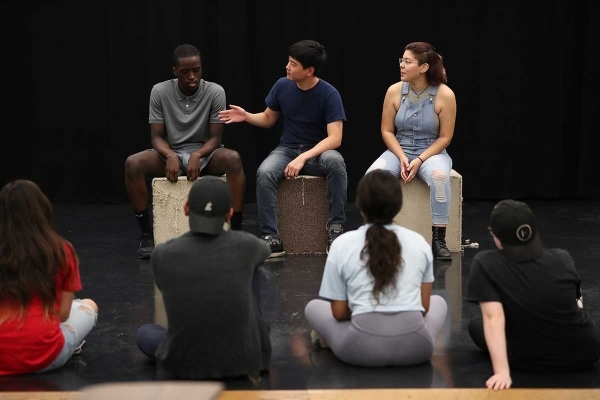 ENTREPRENEURSHIP EXCLUSIVE - Coming BACK this Spring 2019 CSUSB's globally recognized Entrepreneurship program will continue the Theater Arts course called "The Improvisational Mind". This course is geared towards developing entrepreneurship improv and quick-wit brain-training skills. Last spring, the Test Pilot course was introduced and proved to be a raving success amongst our pioneering students. In Fall 2020 this will be a required course for all Entrepreneurship students! If you want to take the course now and are a junior/senior level Entrepreneurship student (major or minor), you can enroll in the next offering of the course in Spring 2019. The course can be used to satisfy one (1) of your Entrepreneurship electives. Spring 2019 Improvisational Mind enrollment has been reached. Please check for future enrollment periods for Fall 2020.